Manuel Dujovny received his medical degree at the prestigious National University of Cordoba, the third oldest University in the American continent. He has been very active in clinical and central neurosystem research and contributed to more than 400 clinical research publications on neuroscience. After graduating from the National University of Cordoba, he completed residencies in Neurosurgery both in Argentina and Israel under the direction of Professors Federico J. Viñas and Harden M. Askenasy respectively. In 1973, he accepted a position at the University of Pittsburgh as Professor of Neurosurgery and Director of the Neurosurgical Research. During this time he was also Chief of Neurosurgery at the Oakland Veteran’s Administration Medical Center and a staff member of the Presbyterian University Hospital, Montefiore Hospital and Children’s Hospital Pittsburg. In 1981 he transferred to Henry Ford Hospital in Detroit in the position of Vice-Chairman and Director of Research in the Department of Neurosurgery. In 1991 he accepted the position of Professor of Neurosurgery, Associate head and Vice-Chairman of Department of Neurosurgery at the University of Illinois at Chicago. He returned to Michigan in 1997 as a Professor of Neurosurgery at Wayne State University. He also held a position as Professor of Neurosurgery at the National University of Cordoba, Argentina and Professor of Neurosurgery to Tashkent, Uzbekistan. Hossein Movahed is a Research Associate of Cardiology Department at East Carolina University, Brody School of Medicine, Greenville. At present he is a Private Practice at Southwest Medical (Gastroenterology), Las Vegas, Nevada. Alain L Fymat is a medical-physical scientist and an educator. He was educated at the University of Paris-Sorbonne and the University of California at Los Angeles. He is the current President/CEO and Professor at the International Institute of Medicine and Science with a previous appointment as Executive Vice President, Chief Operating Officer and Professor at the Weil Institute of Critical Care Medicine. He was formerly Professor of Radiology, Radiological Sciences, Radiation Medicine (Oncology), Critical Care Medicine, and Physics at several U.S. and European Universities. Previously, he was Deputy Director (Western Region) of the U.S. Department of Veterans Affairs, Veterans Health Administration (Office of Research Oversight), and Director of the Magnetic Resonance Imaging Center and for a time Acting Chair of Radiology at its Loma Linda, California Medical Center. He has extensively published (~ 425 publications including patents, books & monographs, book chapters, refereed articles) and has lectured extensively in the USA, Europe, Africa and Asia. He has been the recipient of numerous research grants from government, academia and private industry, and has consulted extensively with these entities. He is a Board member of several institutions and Health Advisor of the American Heart & Stroke Association (Coachella Valley Division, California). He is Editor-in-Chief, Honorable Editor or Editor of 25 scientific Journals. Prof. Dr. Alireza Heidari, Ph.D., D.Sc. is a Full Professor and Academic Tenure of Chemistry at California South University (CSU), Irvine, California, USA. He has got his Ph.D. and D.Sc. degrees from California South University (CSU), Irvine, California, USA. Furthermore, he has double postdocs in Project Management, Oncology, Human Cancer Tissues and Synchrotron Radiation from Monash University, Melbourne, Victoria, Australia and also in Nanochemistry and Modern Molecular Electronic–Structure Computations Theory from California South University (CSU), Irvine, California, USA. His research interests include Biophysical Chemistry, Biomolecular Spectroscopy, Quantum Chemistry, Nanochemistry, Modern Electronic Structure Computations, Theoretical Chemistry, Mathematical Chemistry, Computational Chemistry, Vibrational Spectroscopy, Molecular Modelling, Ab initio & Density Functional Methods, Molecular Structure, Biochemistry, Molecular Simulation, Pharmaceutical Chemistry, Medicinal Chemistry, Oncology, Synchrotron Radiation, Synchrocyclotron Radiation, LASER, Anti–Cancer Nano Drugs, Nano Drugs Delivery, ATR–FTIR Spectroscopy, Raman Spectroscopy, Intelligent Molecules, Molecular Dynamics, Biosensors, Biomarkers, Molecular Diagnostics, Numerical Chemistry, Nucleic Acids, DNA/RNA Monitoring, DNA/RNA Hypermethylation & Hypomethylation, Human Cancer Tissues, Human Cancer Cells, Tumors, Cancer Tissues, Cancer Cells, etc. He has participated at more than three hundreds reputed international conferences, seminars, congresses, symposiums and forums around the world as yet. Also, he possesses many published articles in Science Citation Index (SCI)/International Scientific Indexing (ISI) Journals. It should be noted that he has visited many universities or scientific and academic research institutes in different countries such as United States, United Kingdom, Canada, Australia, Scotland, Ireland, Netherlands, Belgium, Denmark, Greece, Russia, Estonia, Turkey, France, Swiss, Germany, Sweden, Norway, Italy, Austria, Czech Republic, Hungary, Poland, South Africa, Egypt, Brazil, Spain, Portugal, Mexico, Japan, Singapore, Malaysia, Thailand, Taiwan, Hong Kong, South Korea, China, India, Qatar, United Arab Emirates, etc. as research fellow, sabbatical and volunteer researcher or visitor and so on heretofore. He has a history of several years of teaching for college students and various disciplines and trends in different universities. Moreover, he has been a senior advisor in various industry and factories. He is expert in many computer programs and programming languages. Hitherto, he has authored more than twenty books and book chapters in different fields of Chemistry. Syne, he has been awarded more than nine hundreds reputed international awards, prizes, scholarships and honors. Heretofore, he has multiple editorial duties in many reputed international journals, books and publishers. Hitherward, he is a member of more than three hundreds reputed international academic–scientific–research institutes around the world. It should be noted that he is currently the President of American International Standards Institute (AISI), Irvine, California, USA and also Director of the BioSpectroscopy Core Research Laboratory at California South University (CSU), Irvine, California, USA. Biophysical Chemistry; Biomolecular Spectroscopy; Quantum Chemistry; Nanochemistry; Modern Electronic Structure Computations; Theoretical Chemistry; Mathematical Chemistry; Computational Chemistry; Vibrational Spectroscopy; Molecular Modelling; Ab initio & Density Functional Methods; Molecular Structure; Biochemistry; Molecular Simulation; Pharmaceutical Chemistry; Medicinal Chemistry; Oncology; Synchrotron; Radiation; Synchrocyclotron Radiation; LASER; Anti–Cancer Nano Drugs; Nano Drugs; Delivery; ATR–FTIR Spectroscopy; Raman Spectroscopy; Intelligent Molecules; Molecular Dynamics; Biosensors; Biomarkers; Molecular Diagnostics; Numerical Chemistry; Nucleic Acids; DNA/RNA Monitoring; DNA/RNA Hypermethylation & Hypomethylation; Human Cancer Tissues; Human Cancer Cells; Tumors; Cancer Tissues; Cancer Cells. Ray Linrui Guo was appointed as an academic faculty member at the rank of Assistant Professor of surgery in January 2005. However, he has been associated with UWO since 1992. He initially came to London as a Clinical Fellow, became a Clinical Associate in 1997, and an Adjunct Professor in 2000. As a new immigrant and foreign medical graduate, he appreciated the openness and generosity of Canadians and the Canadian health care system. He feels absolutely committed and honoured to be able to contribute to the academic society and society as a whole. Being a clinical educator is not only his responsibility, but also he loves and passion. He have invested a significant amount of time and effort to teaching and have been intimately involved in teaching activities for undergraduate, postgraduate, graduate students, staff and community members. He realizes that an effective teacher requires not only dedication, but also an abundance of knowledge and proper teaching skills. In April 2009, he also took on the role of Residency Program Director in Cardiac Surgery. Apart from the everyday management of resident related affairs, he will work with PGE Committees and focus on curriculum modifications. Furthermore, he is also a member of the Department of Surgery UGE Committee, as the Cardiac surgery PGE Committee Chair, and member of the Departmental and the faculty wide PGE Committees. He has been actively engaged in clinical research. He has published 8 peer reviewed papers and abstracts as a primary author or corresponding author, with 3 more submitted for presentations at major international conferences in 2009.He has also compiled a book chapter for a major Cardiology Textbook. Daniela Capdepon MD, graduate of the University F. Medical Barceló in 2001 with honors and highest academic average. Make residency in Internal Medicine at the Municipal hospital and COBA oriented Graduate Clinical Oncology from 2002 to 2004. Then I began to study the specialty of Clinical Oncology at the University of Salvador, trained in gastric tumors in Udaondo Hospital, Hospital Marie Curie Cancer Center and Henry Moore at where we learned to prepare and deliver chemotherapies and concurrences to form the pallium Center for palliative treatment of pain. Graduated in the specialty of clinical oncologist and palliative medicine subspecialty in Pain in 2006 of Salvador University, Buenos Aires. Oncologist at Work as outpatient and outpatient chemotherapy treatments made in Municipal Hospital and Italian Society of Zarate and Campana. Fellow in Fundaleu as subinvestigadora in Oncohematology and where do my training in liquid tumors, LLC, ALL MM, NHL LH. During 2006-2007. In 2008 I built my own Cancer Center, of which I am the owner and medical director, is Campana Cancer Center, where cancer care is done in outpatient chemotherapy treatments and pain and palliative treatments. Together with a specialized team that works with me. We also conduct Cancer Center, clinical research protocols in various tumors. Starting a new labor stage in the province of Entre Rios as oncologist responsible for the service in Peru Galarza General Hospital, Hospital San Antonio de Gualeguay, Hospital Salaberry, Victria Entre ríos. His chief interests is the promotion of international cooperation in head and neck surgery, oncology and cancer research. Yordanov A D has completed his graduation from Medical University-Sofia, Bulgaria in 2003. Since 2004 he has been working in Clinic of Gynecologic Oncology, University Hospital “Dr.Georgi Stranski”-Pleven, Bulgaria. In 2009, he became a Specialist in Obstetrics in Gynecology . He also works as an Assistant in Medical University-Pleven. In 2017, he defended his dissertation, "Sentinel lymph node biopsy in patients with endometrial carcinoma”. He has several publications in various magazines on different topics and 3 oral presentations in international congress. Mario Cappellette Graduated in Dentistry from São Francisco University (1990), Specialization in Radiology from São Francisco University (1993) Master in Dentistry, Orthodontics and Facial Orthopedics from Camilo Castelo Branco University (1997) and PhD (2005) and Postdoctoral (Department of Otorhinolaryngology and Head and Neck Surgery) by the Federal University of São Paulo. He is currently an Associate Professor in the Department of Otorhinolaryngology and Head and Neck Surgery at the Federal University of São Paulo, Coordinator of the Specialization in Orthodontics of the Brazilian Association of Dentistry section São Paulo and section Santos, President of the Brazilian Association of Dentistry-São Paulo Section, Coordinator of the Oral Respirator Center - Department of Orthodontics, Discipline of Pediatric Otorhinolaryngology, Federal University of São Paulo. He has experience in the area of Dentistry, with emphasis on Orthodontics and Orthopedics, working mainly on the following topics: maxillary disjunction, orthodontics, orthodontics and orthopedics, orthodontic treatment associated with orthognathic surgery, mouth breathing patients, self-ligating and conventional brackets. Maxillary disjunction, orthodontics, orthodontics and orthopedics, orthodontic treatment associated with orthognathic surgery, mouth breathing patients, self-ligating and conventional brackets. Lori Burkow-Heikkinen received her Bachelor of Science degree in Exercise Physiology from the University of Michigan 1976 and her Master Degree in Education from Marygrove College 2005. Having been in the fitness industry since the early 1970’s she has acquired post graduate certifications from the American College of sports Medicine, American Academy of Health & Fitness Professionals, American Council on Exercise, and Aerobic & Fitness Association of America. Her professional experience includes Fitness Teaching Professional 1972-1997, Assistant Program Director of the Jewish Community Center 1978-1981, Medical exercise Specialist 1997-present. She is currently CEO: Lori Burkow, CPT; practicing Elite Personal Trainer at The prestigious Jewish Community Center, in West Bloomfield, Michigan. Her professional practice also includes private in home as well as executive trainer at private Country and Racquet Clubs in the Detroit, Michigan area. She is an active member of Research Gate and the American College Sports Medicine. Lori has authored several globally published papers in relevant international journals and is on the Editorial Board for the Journal of Integrated Technologies, EC Neurology, Sports Medicine and Rehabilitation Journal, and International Physical Medicine & Rehabilitation Journal. Dr. Ihsan Yildiz is currently working as Associate Professor at the faculty of Medicine General Surgery Department, Suleyman Demirel University, Turkey. His areas of interests are Kidney transplant, liver transplant, hepatobiliary surgery. 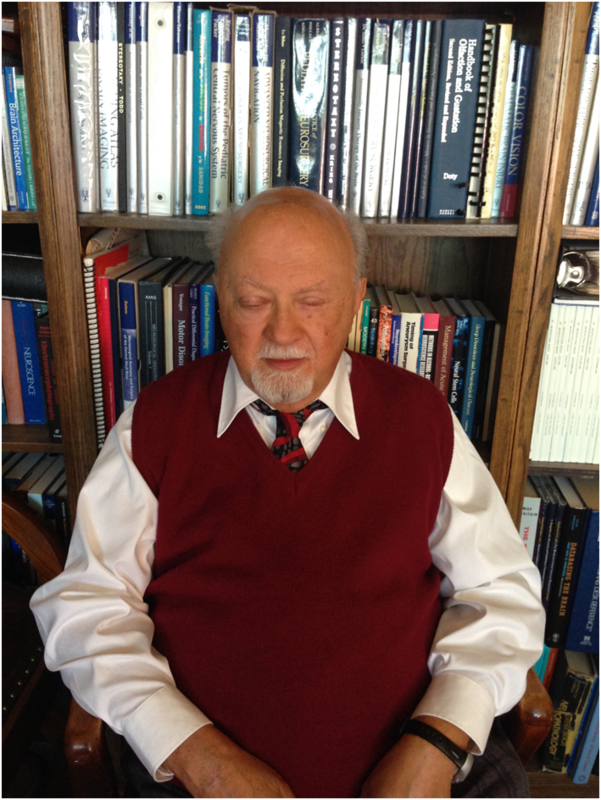 He published 35 articles in peer reviewed journals and one book chapter. Plauto Christopher Aranha Watanabe is presently working in University of São Paulo, Brazil. He had completed his bachelors degree in Dentistry from the University of São Paulo in 1985, a Masters Degree in Dental Radiology from the State University of Campinas 1992 and a PhD in Dentistry. Since 2017 he is a Full Professor at the University of São Paulo. He is currently president of the 1st okayama university international Alummini - Ribeirão Preto. Head of the radiology and radioprotection section of the Ribeirão Preto School of Dentistry, University of São Paulo, chief section of the Faculty of Dentistry of Ribeirao Preto - USP, Prof. Coordinator specialization course at the University of São Paulo. He has experience in the area of Collective Health, with emphasis on Collective Dentistry, working mainly on the following topics: osteoporosis, dental radiology, osteoporosis, panoramic radiography and dental radiology. Coordinator of 02 International Academic Agreements with the Universities of Okayama and Hiroshima, Japan. Esteban Grzona is a general and colorectal surgeon with special training in laparoscopic procedures and colorectal cancer treatments. He is the chairman of Colorectal Surgery and Proctology at Fundacion Sanatorio Guemes in Buenos Aires. In addition, he heads the board of Colorectal Surgery at University of Buenos Aires School of Medicine. He is a member of Argentine Surgery Association, Argentine Colorectal Society. He has multiple research papers published and is a frequent speaker in many scientific meetings. He is currently working as an Assistant Professor & Consultant Orthopaedic Surgeon at the University of Lahore Teaching Hospital, Raiwind road. He has the privilege of running the Orthopaedic department and being the OPD incharge at UOLTH. He is also currently running my private practice as Consultant Orthopaedic Surgeon at Horizon Hospital and at AlRazi Healthcare Hospital Lahore, Pakistan. Saganuwan Alhaji Saganuwan is a senior Lecturer and the Acting Head Department of Veterinary Physiology, Pharmacology and Biochemistry, University of Agriculture, Makurdi. He has over 40 scientific papers mostly published in international journals of high repute and a few presented at national and international conferences. He is a renowned scholar in the fields of Ethnopharmacology, Toxicology, Anesthesiology, Malariology, Pharmacokinetics, Translational Medicine, Veterinary Medicine, Pharmaceutical Calculation, Clinical Research, Drug Development and Science Education. He is an Associate Editor for Journal of Medical and Pharmaceutical Sciences, Editorial Board Member Research in Pharmaceutical Biotechnology, Journal of Infectious Diseases and Immunity, Journal of Diabetes and Endocrinology, International Journal of Pharmaceutical Biotechnology, Journal of Microbiology and Antimicrobials, and Technical Editor British Journal of Pharmacology. His profile is in the Encyclopaedia of Who is Who in Nigeria. He is a Faculty member at the University of Agriculture, Makurdi. He holds Doctor of Veterinary Medicine (DVM), MSc and PhD in Pharmacology from the Usmanu Danfodiyo University, Sokoto, PGD in Statistics and PGDE in Science Education from the University of Agriculture, Makurdi respectively. He is a licensed member of Veterinary Council of Nigeria, member of Nigerian Institute of Food Science and Technology, Science and Technology Forum, Nigerian Society for Indigenous Knowledge and Development, Nigerian Veterinary Medical Association and Nigerian Academic Staff Union of Universities. Ahmed mohamed medra is a maxillofacial surgeon, international cleft lip and palate foundation etc. He is chairman of the alexandria club of cranio-maxillofacial, oral and plastic surgery. He is member of egyptian dental association, alexandria oral implantology association (aoia). He has published several scientific papers in international peer reviewed journals. He attended so many conferences in Egypt,in saudi arabia and in europe. 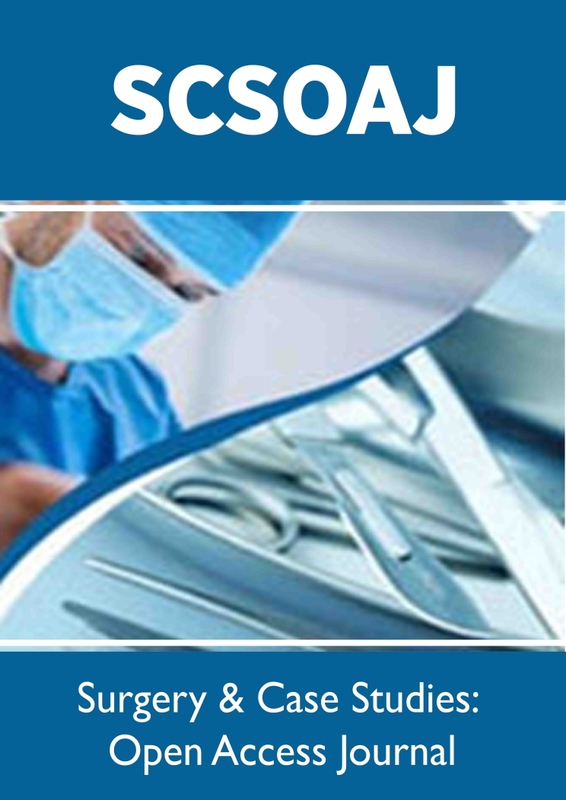 Craniofacial surgery; surgical diseases of salivary glands; cleft lip and palate surgeries; distraction osteogenesis; temporomandibular joint diseases and disorders; fractures of the craniofacial; skeleton and mandible; orthognathic surgery; head and neck tumors; tumors of the jaws benign and malignant; mandibular reconstruction. Dr. Alex Patricio Vargas Diaz is currently working as an Associate Professor in Department of Oncology and Maxillofacial Surgery at Pontifical Catholic University of Chile, Santiago, Chile. He completed his Internships in abroad in the areas of Implantology and Orthognathic Surgery; a Diploma in Business Administration in Health Organizations and a Diploma in Clinical Teaching. Dr. Alex is specialized in Hospital Training Program in Maxillofacial Surgery at Pontifical Catholic University of Chile. He has made numerous presentations in National and International congresses and several publications in National and International scientific journals. He is a member of the Society of Head, Neck and Maxillofacial Plastic Surgery; The Society of Oral Implantology of Chile; The Academy of Dentistry International; The International Society of Cell Therapy; International Dental Research Association and The National Commission of Education in Dentistry of the Chilean Dentists College. Dr. Alex research interest includes Maxillofacial Traumatology, Oral Implantology, Oral and Maxillofacial Pathology and Oncology, Oral Medicine: Oral Cancer, Head and Neck Pathology, Bioengineering: 3D printing (biocompatible scaffolds and simulation models), Biomedicine: Hard & Soft Tissue Regeneration and Biocompatibility. Influence of hypoxia on the concentration of electrolytes and lipids newborns, Analysis of lipid infants of women suffering from gestational diabetes mellitus. Dr. Pankaj Srivastava is a consultant surgeon in Om Surgical Center, Varanasi, India. He is doing all kind of Laparoscopic abdominal and gynecologic surgeries, breast surgery but his main thrust is thoracic, thoracoscopic surgery and VATS. He is doing thoracic decortications, lung and thoracic tumor surgeries. He is dealing with lung malignancy too. He is deeply engaged in critical care services in his hospital and did many thoracic procedures under critical anesthesia. He did his graduation from GSVM medical college, Kanpur in 1997 and postgraduation from Institute of medical sciences, BHU in 2002. He is a keen researcher and is actively engaged in many clinical trials and drug development programme. He was Senior Research Fellow of Indian council of medical research from 2000-2004, in which he did research on polyherbal formulation in biliary stone diseases. He had undergone specialized laparoscopic & thoracoscopic surgery training in 2004 from Indraprasth Apollo Hospital, New Delhi and AdvancedOpen Thoracic, Thoracoscopic, VATS & Robotic Surgery training in 2013 from Sir Ganga Ram Hospital, New Delhi. He is an editor of leading international journals related to gastroenterology, hepatology, gynecology, reproductive medicine, surgery, transfusion medicine, neoplasm etc. and has deep interest in scientific publication work. He is member of various medical societies like, ASI, IAGES, ISG, AMASI, IMA.